Cathy is in: What is love, exactly? Cathy DeBuono, licensed psychotherapist, empath, radio personality and actress you may know from “A Perfect Ending” and “And Then Came Lola” is here to help you sort out your deepest thoughts. Have a question for Cathy? Post in the comments below or send it over. I’ve often said, Love is a verb. Love is not a feeling. If all we do is feel warmly about someone how exactly does that put any more Love their life? Love is active and accomplishing. Love encourages growth, healing and acceptance. Love is one of the only things you increase your stash of by giving it away. I’m not referring to the simple concept that acts of love you give will be returned to, like a barter system. I’m referring to the science behind the energy of Love. The energy that is Love only increases in volume the more you burn it at both ends. Through science we know that energy is neither created nor destroyed, it simply changes form. The energy that is wood becomes smoke and ash when it encounters fire. The energy that is water becomes steam when it encounters heat. And the energy of Love grows in volume when it encounters expression… as does the energy of Fear. Our every behavioral choice as human beings is predicted by which of these energy sources we are rooted in, Love or Fear. Our frame of mind is the GPS system that reaches into our core and drinks from one of these energy sources. Love is a choice, not just something that occurs randomly on a whim. It’s not a drug, it’s an attitude, a perspective, a choice we consciously make. Be lazy with your mind and perspective, and you are allowing your most inept unconscious structures to choose the energy source your life and relationships are powered by. Love is a solid position of wanting the absolute best for another. If you are truly planted in this position, Love will manifest in everything that you do. Only then, can you know what it truly feels like. Love is not the desire and lust we feel for another, or the craving we have to own them. Love is not the passion we experience when we encounter that person sexually. Love is the decision to let them walk free when we no longer make them happy. Love is selfless, love is other oriented, Love doesn’t always feel euphoric. To find more love in your life, give more of it away. It’s important however that you be clear with your intentions. Love is truly selfless. Achieve it, and it is not possible for it to allude you. Try to trick it, try to fake it, try to play is safe and not genuinely shift your perspective and you will find yourself in an endless sticky web of mixed up feelings and murky energy. Love is pure. Love is simple. Just give it away, and feel it grow inside you. Tune in to “Cathy Is In: The Cathy DeBuono Show” Thursdays 3pm PST/ 6pm EST on LA Talk Radio and CBS NEW Sky Radio. 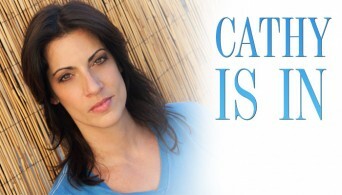 Therapist, actor and radio host, learn more about Cathy DeBuono at CathyIsIn.com. Posted May 23rd, 2013 & filed under Love. Call for submissions: Tell us your real-life love story!